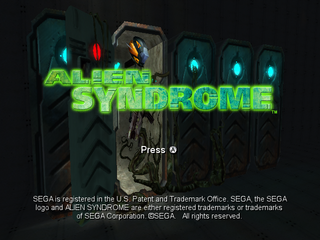 Alien Syndrome is an action RPG developed by Totally Games and published by Sega in 2007. It is a sequel to the 1987 arcade game of the same name, Alien Syndrome. The game plays somewhat similarly to the arcade original, although the two playable characters are heavily customisable and there is a much larger range of weapons and items. Main article: Alien Syndrome (2007)/Magazine articles.